Welcome to the Web Site of the Franciscan Ministry of the Word. 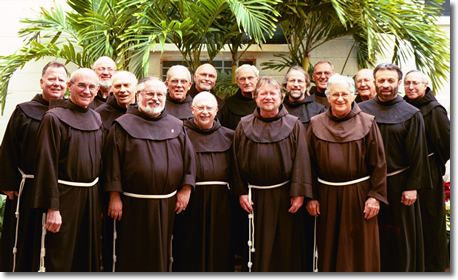 We are a ministry of the Holy Name Province of the Franciscan friars. Through the preaching of parish missions, days of recollection and retreats, throughout the eastern U.S. & Canada,and at our spiritul life centers, our Team of friars and lay people seeks to bring the Good News of Jesus Christ to all. As Franciscans our programs are available to all, regardless of ability to pay. We also have friars who can preach in Spanish or in Portuguese. requests for preaching engagements only.